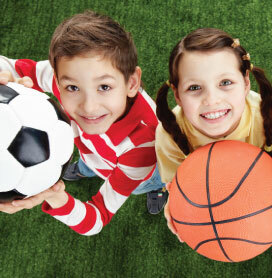 Getting up and running around is among the best ways for children to spend their free time. But without the right footwear, they’ll be unable to do any such thing! That’s why a pair of kids’ plimsolls are an essential addition to a child’s wardrobe. Many schools still insist on a classic pair of white or black plimsolls as part of the PE kit – so be sure to stock up ahead of term and ensure that your child’s feet are properly prepared. 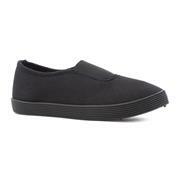 It’s in this section of the site that you’ll find all of our black and white school plimsolls. 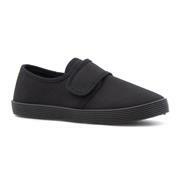 Our range includes touch-fasten bar shoes for girls, as well as more classic slip-on plimsolls with an elasticated section in the middle that’ll expand to accommodate their feet. We even have lace-up versions of the classic black plimsoll – so there’s something for everyone. 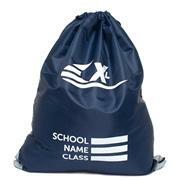 As well as the children’s plimsolls themselves, this section also contains school PE bags necessary to carry their kit, complete with a space to record your child’s name. 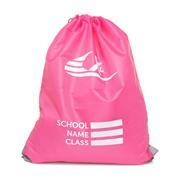 You can never go wrong with a standard drawstring PE bag. With free standard delivery on each pair of plimsolls, you’ll be able to easily ensure your child has a pair ready for the upcoming term! 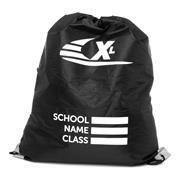 Or, if you’ve left it late this year and have no time to waste, use our free click & collect service. Cut out the hassle of finding the shoes you want, simply reserve them online, come into one of our 500 UK outlets and you’re all set. 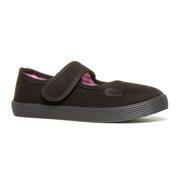 For more excellent deals on children's shoes, check out our special discounts and sales. We’ve got loads of ways for you to save money on your kids’ shoes. 7 products from £2.99 to £3.99.